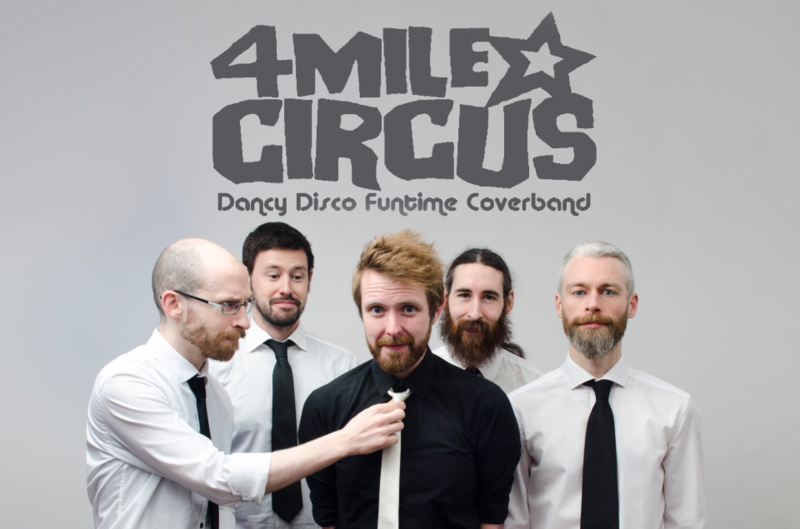 4 Mile Circus is one of the most fun and entertaining bands currently performing in Ireland. The band is fronted by Steven Sharpe, who provides jaw dropping vocals and a high energy performance. Sharpe has electrified at all of the biggest and best music festivals in Ireland, from Body & Soul to Electric Picnic, and the Galway International Arts Festival. The band is composed of 5 Galway music veterans with a wealth of experience as professional musicians. They regularly play together, and this 50 years of combined experience is clear in the band’s on stage energy and combined charm. We will be in close contact with you before the wedding in order to select the best songs and provide the entertainment you deserve for a day and night you’ll never forget. Setup:Using a Behringer X32 digital desk with a sleek but powerful RCF Evox12 speaker system, 4 Mile Circus delivers high quality sound to any venue.